Update to the above story. Three cadets and one officer were killed. Three were female including the officer. The attacker, identified as 28-year-old Fadi Qunbar, came from the Palestinian neighborhood of Jabel Mukaber in east Jerusalem — located near the attack site. The neighborhood, home to many other past attackers, has sporadically experienced violent clashes between residents and Israeli security forces. Netanyahu ordered a closure of the neighborhood. 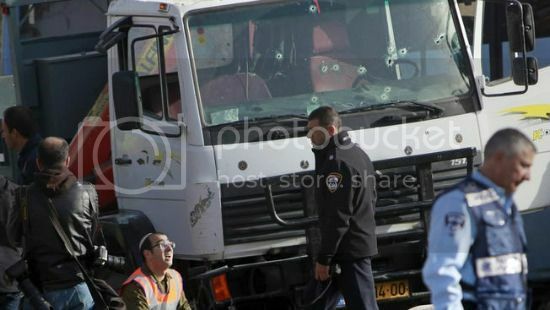 Israeli media said his Security Cabinet decided to destroy the attacker's home and withhold the release of his body. A woman who identified herself as Qunbar's sister told journalists that his wife had asked him to come home for lunch, but that he turned her down because he "had work to do." She said police had arrested the attacker's parents, wife and two brothers. A terror probe has been launched in Paris after a machete-wielding man was shot while attacking four soldiers outside the Louvre. The suspect was shot five times in the stomach and is in a critical condition. He was shouting 'Allahu Akbar' - Arabic for 'God is the greatest' - according to the Paris chief of police, and reportedly had paint bombs in his backpack. A source close to the investigation claims the suspect is an Egyptian man who arrived in France at the end of last month. An unconfirmed report by TV network LCI names the suspect as 29-year-old Abdallah EH, who arrived in France on a flight from Dubai on January 26. He was not known to security services, the network states. After being refused entry to the Louvre, he pulled out the weapon and was shot by a soldier, officials have confirmed. A paratrooper is believed to have suffered a minor head injury. A second man was arrested after 'acting suspiciously' close to the scene, police now do not believe he was linked to the attack. French Prime Minister Bernard Cazeneuve has described the attack as 'terrorist in nature'. A pair of New York City men who pledged allegiance to the Islamic State, researched pressure cooker bombs and scouted tourist attractions have pleaded guilty to all charges in a federal terrorism case. On Thursday, the Department of Justice (DOJ) released a statement confirming that Fareed Mumuni, 22, pled guilty to conspiring and attempting to provide material support to Islamic State (IS, formerly ISIS/ISIL), assaulting and conspiring to assault federal officers and to the attempted murder of federal officers. He faces up to 85 years in prison for his charges. The DOJ confirmed the following day that Mumuni’s co-defendant, Munther Omar Saleh, 21, pleaded guilty to conspiring and attempting to provide material support to IS as well as assaulting and conspiring to assault federal officers. Saleh faces up to 53 years in prison. Both guilty pleas were accepted by US District Judge Margo Brodie, who scheduled hearings for both men on May 16, according to the statment from the DOJ. Mumuni and Saleh, both US citizens, were a part of a group of six men in New York and New Jersey arrested in connection with an attempted bomb plot in New York City. There is very little news on this and conflicting information. Police in Dusseldorf have arrested at least two people following an ax attack at the city’s main train station. Several people have been injured, according to reports. There are opposing reports as to whether police are searching for other suspects. Four Israelis were stabbed and lightly wounded by a Palestinian terrorist in two hotels on the Tel Aviv promenade Sunday afternoon. The 18-year-old man attacked people with work tools in the Leonardo Hotel, then ran to the nearby Herod’s Hotel, where he continued his rampage before being arrested. AT LEAST 23 people have been slaughtered in a brutal gun attack on a bus carrying Christians in Egypt, it has been reported. The gunmen opened fire on a bus in the city of Minya in southern Egypt – around 245km south of Cairo – killing at least 23 and wounding 25. The bus, which is thought to have been carrying around 50 Coptic Christians, was heading to Anba Samuel monastery in the city. Authorities have rushed to the scene of the attack to assess the number of casualties. No group has claimed responsibility for the attack, which comes after ISIS bombed churches in Tanta and Alexandria over Easter – killing 46. A terrorist fighting deportation has won £250,000 in legal aid despite being caught with jihadi manuals on attacking nightclubs and airports. The extremist, who cannot be identified, was granted the taxpayer funds even though he was described in court as the 'very model of a modern Al Qaeda terrorist'. He is using some of the money to try to stay in the country following a nine-year prison sentence. He claims throwing him out would breach his human rights. The payments are particularly alarming following the atrocities in Westminster, Manchester and London Bridge that cost 35 innocent lives. And the election result has cast doubt on Theresa May's pledge to tear up the Human Rights Act in cases where it blocks the deportation of extremists. The terrorist who has been granted legal aid came to England illegally in the months after the September 11 attacks as a 'sleeper agent' for a group linked to Al Qaeda. The Jordanian claimed asylum by pretending to have fled the Middle East in fear of his life. The claim was dismissed and he should have been deported. But he managed to stay and evade authorities simply by using a fake name. He was given a council house with his wife and claimed at least £100,000 in benefits. The terrorist was arrested after a bank tipped off police about unusual activity on his account. There are NO lone wolf terrorist. The first sentence is contradictory. New Delhi: Delhi has been put on high alert following inputs about a possible lone wolf attack by a terror outfit. Patrolling in and around crowded markets and religious places has been stepped up. On Tuesday evening vehicle checks were intensified, with barricades put up every 500 metres in south Delhi. 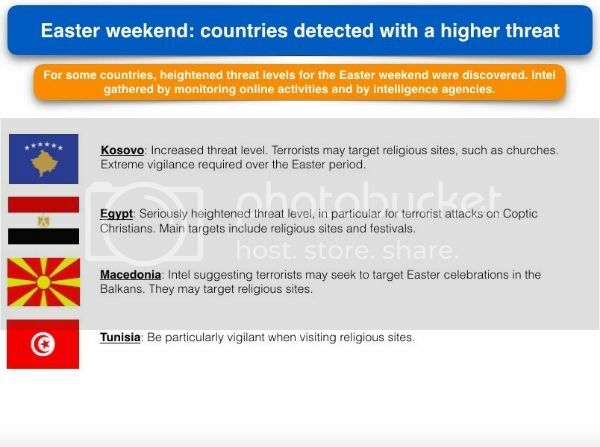 According to the intel input, the elements might target crowded areas in Punjab, Haryana and Bihar, apart from Delhi. Anti-terror units of states, including Delhi, have been asked to act on all "actionable intelligence", said sources. The special cell has intensified checking of guesthouses near Jama Masjid and nearby Old Delhi areas. Railway police and staff have been asked to maintain vigil at stations and near tracks. BEIJING (AP) — Chinese authorities say a homemade bomb was used in an explosion at the front gate of a kindergarten that killed eight people, including the suspect. Police say the 22-year-old male suspect was identified primarily using security camera footage and DNA collected at the blast scene. They provided only his surname, Xu, but no motive. Investigators say they found materials for making a homemade bomb at Xu’s nearby residence. They say emblazoned on the walls of the residence were the Chinese characters for death and disaster. The police announcement says Xu had left school because of an autonomic nervous system disorder, whose symptoms can include dizziness and problems with basic bodily functions. Sixty-five people were injured including eight listed in critical condition. A heavily-armed driver "deliberately" rammed a police van at the Champs-Elysées roundabout in Paris on Monday, just 200 yards form the presidential palace where Emmanuel Macron resides. 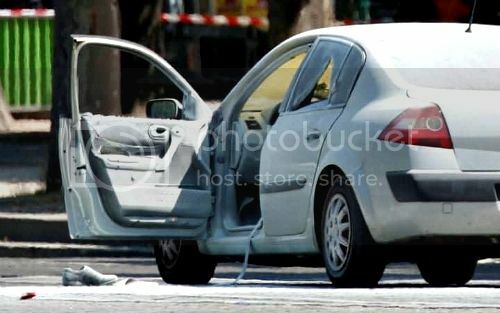 The vehicle struck a blue police van in the central Parisian district at around 3.40pm, and burst into flames. Yellow smoke then billowed from the vehicle as police moved in to neutralise the driver. Police are treating the incident as a terror attack after finding a Kalashnikov, "numerous" gun cartridges and a gas canister inside the vehicle. The driver - reportedly a 31-year old known to intelligence and on a security watch list - is dead, according to the French interior minister, Gerard Collomb. FLINT, MI -- Investigators have identified the man they say attacked a police officer at Bishop Airport as Amor M. Ftouhi, a 50-year-old Canadian citizen. Federal prosecutors filed an affidavit Wednesday, June 21, supporting a criminal complaint of violence at an international airport in U.S. District Court in Flint. The affidavit from FBI Special Agent Thomas M. Sondgeroth says an officer who observed the attack on police officer Jeff Neville told him Ftouhi used a large knife to stab the victim. Ftouhi yelled "Allahu Akbar" before making the attack, according to the affidavit. After stabbing the officer in the neck, Ftouhi continued to yell, "Allah," several times, Sondgeroth's statement says. "He further exclaimed something similar to, 'you have killed people in Syria, Iraq, and Afghanistan, and we are all going to die.' "
Ftouhi entered the first-floor lobby at Bishop at approximately 8:52 a.m. Wednesday, carrying a red duffle and dark satchel bag, traveling up an escalator before attacking Neville. Sondgeroth's affadavit says the knife Ftouhi used had a green handle and a black serrated blade and was marked Amazon jungle Survival Knife. He has not yet been arraigned. I've been watching for this news. The man who killed one person and injured six in a supermarket knife attack in Hamburg was a "known Islamist", officials say. "He was known as an Islamist but not a jihadist," Hamburg's Interior Minister Andy Grote said, noting the suspect also had "psychological" issues. The man, a failed asylum seeker born in the United Arab Emirates (UAE), attacked customers at random on Friday. Police said he acted alone and he was overpowered by passers-by. The 26-year-old man, identified as Ahmad A, is a Palestinian from the UAE who is registered on an Islamist database, Mr Grote said on Saturday. The attacker, who arrived in Germany in 2015 but could not be deported because he had no identification papers, was also suffering from mental health problems, officials said. Police have carried out a search of the shelter in Hamburg where the man was living but said there was no evidence that he had accomplices or was part of a terror organisation. It is not yet clear what the suspect's motivations were. You're right, dead is what I always hope for. This is getting awfully close to home, Rumpole, but authorities in Australia seem to thwart any potential plans before they get to last stage. Police foiled a plot to blow up a plane after raiding homes in Sydney on Saturday and arresting four men. Details were sketchy on the timing and location of the attack, according to Australian Federal Police Commissioner Andrew Colvin, though he said the plot was believed to involve use of an improvised device. Security had been on high alert at Sydney airport and other major international and domestic terminals throughout the country since Thursday. The country's terrorist threat level remains "probable," Turnbull said. The alleged threat was the 13th thwarted by law enforcement officials since Australia’s terrorist threat level was elevated in 2014. DETROIT (AP) — A Tunisian-born man who lives in Canada and stabbed a police officer at a Michigan airport subscribes to Osama Bin Laden’s ideology and celebrated the 9/11 attacks, federal prosecutors said in a court filing. In an interview after his June arrest in Flint, Amor Ftouhi (ah-MOOR’ fuh-TOO’-ee) also told federal agents that he praised Bin Laden for organizing the 2001 attacks on the United States which he “considers an enemy of Allah,” according to the documents. 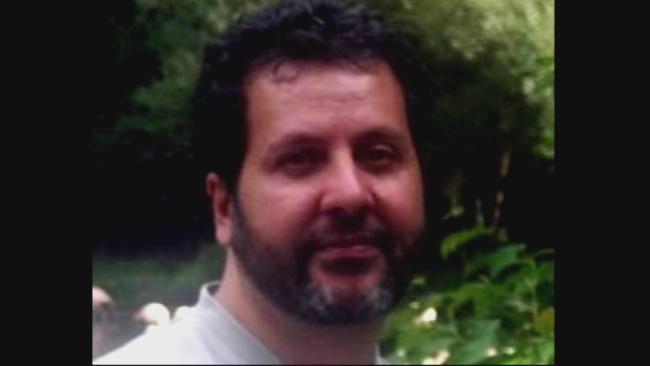 Ftouhi, 49, of Montreal, Quebec, has been indicted on charges of committing an act of violence at an international airport and interfering with airport security in the June 21 attack at Flint’s Bishop International Airport, about 50 miles (80.46 kilometers) northwest of Detroit. Lt. Jeff Neville was stabbed in the neck, but later recovered from his wounds. Authorities have said Ftouhi mentioned killings in Syria, Iraq and Afghanistan and yelled “Allahu Akbar,” the Arabic phrase for “God is great,” at the time Neville was attacked. The FBI has said Ftouhi legally entered the U.S. at Champlain, New York, on June 16. The FBI said he bought a knife in the U.S.